Fish Recipes for Lent - Home. Made. Interest. 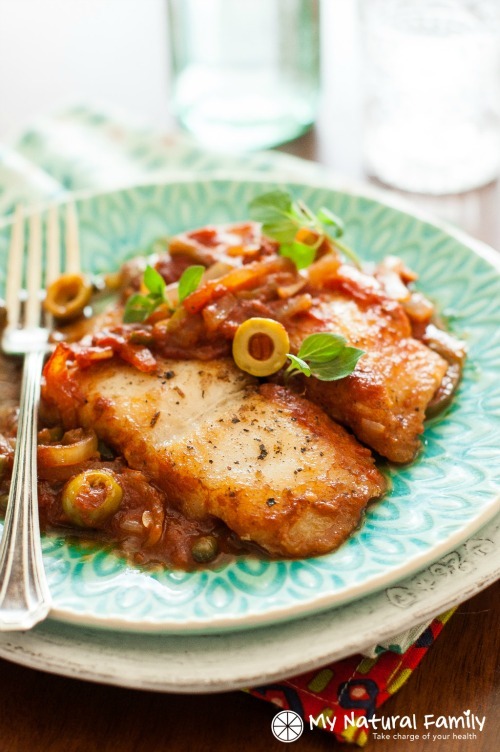 Easy and healthy Fish Recipes for Lent that the family will enjoy. Lent is quickly approaching which means fish and seafood galore! Don’t get me wrong I love me some fish fillet sandwiches from McDonald’s but they get old fast. 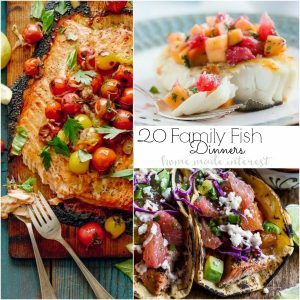 I’ve gathered some fish recipes for Lent that you can make for dinner that the whole family (even those fish haters) can enjoy. They aren’t just for Lent, fish is healthy and super quick to make for the family on a busy weeknight. Here are a few of my favorites. 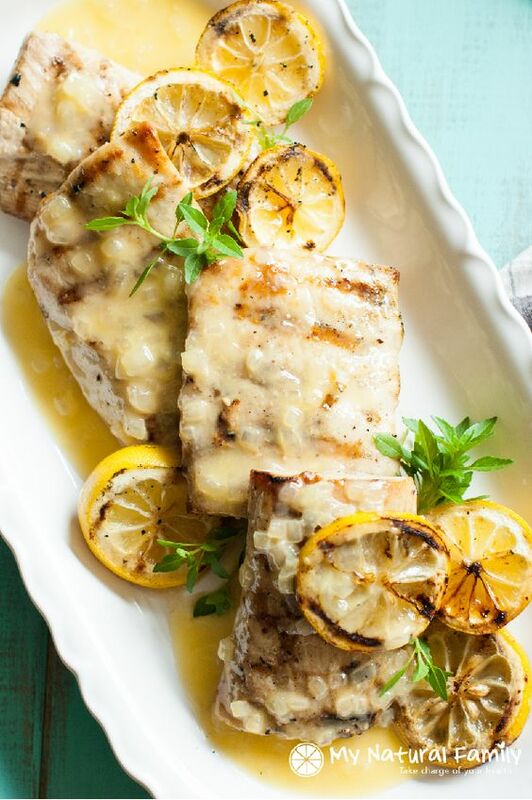 This Carrabba’s copycat Grilled Mahi Mahi recipe in a Lemon Butter Sauce is Paleo, gluten-free and only has a few ingredients. How can you resist lemon and butter? 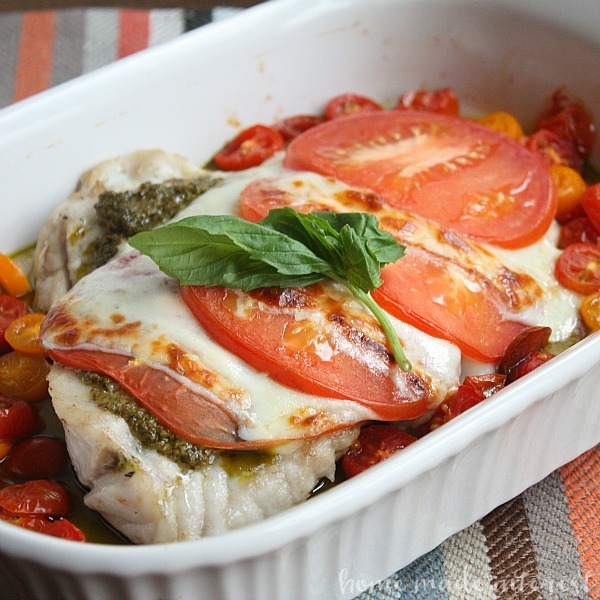 This Grouper Caprese is near and dear to my heart. It’s a favorite dish we have in Aruba (our favorite vacation spot) every time we go. It also helps that it’s served at the best restaurant in Aruba, Que Pasa. The chef there is absolutely amazing. 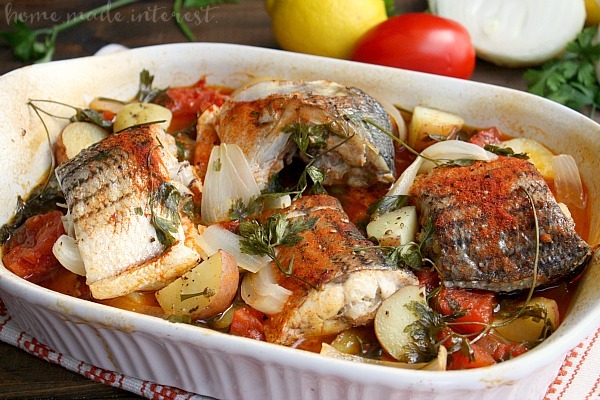 I am also biased to this Portuguese Baked Rockfish since I am Portuguese. I go fishing every year in August for rockfish and this is my go-to recipe. It is so flavorful and the best part is dipping the bread in the sauce. You can also add a piece of sausage for a meatier taste. 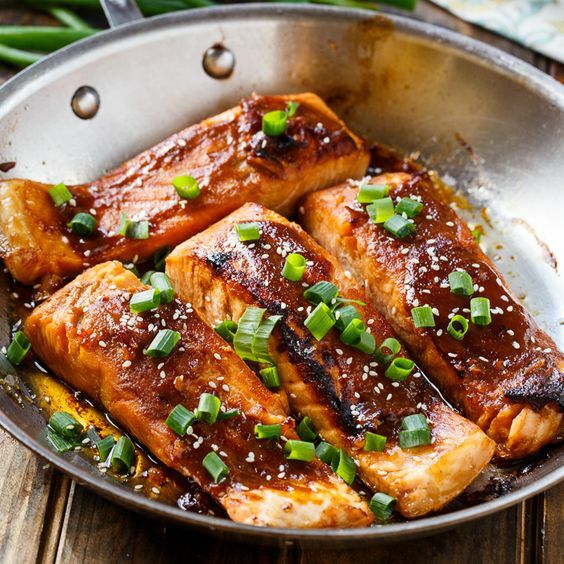 This Teriyaki Salmon has tons of flavor and only takes 10 minutes for cook. 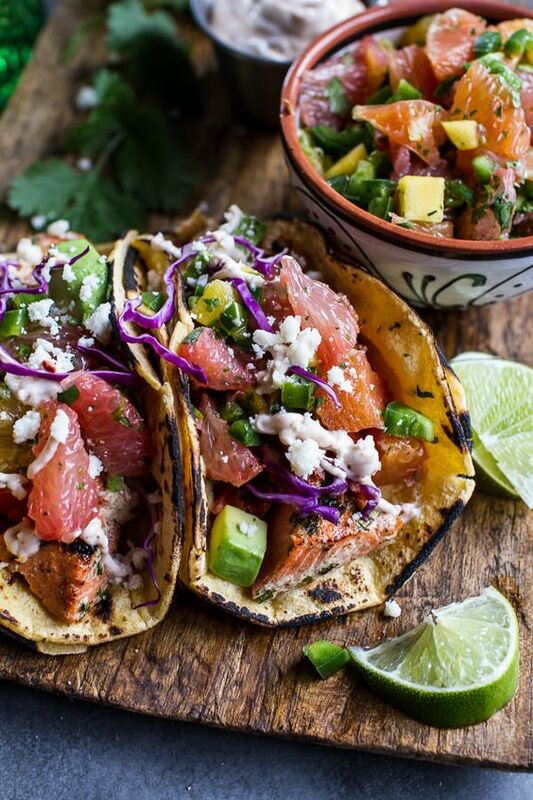 These Cuban Fish Tacos with citrus mango slaw are packed with flavor in every bite. They also make a great lunch with leftover salmon too. I am loving this vamped up twist on an old classic recipe. 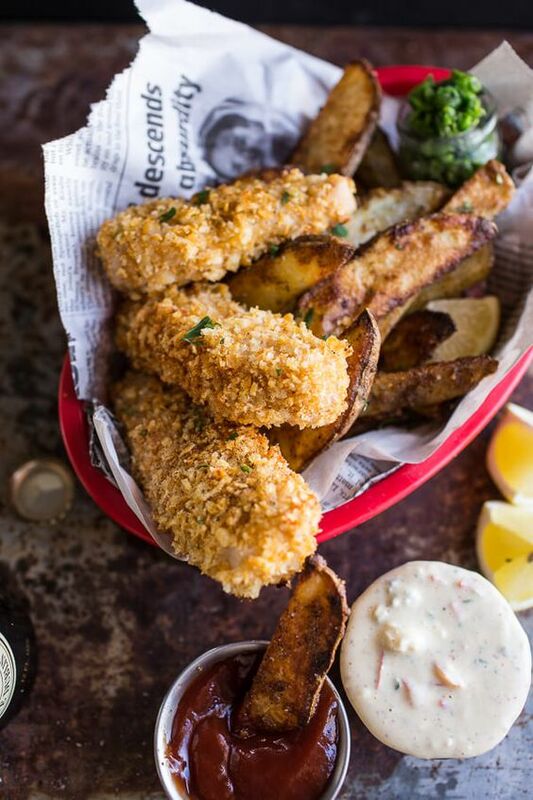 These Potato Chip Crusted Fish and Chips are baked not fried. Yum! 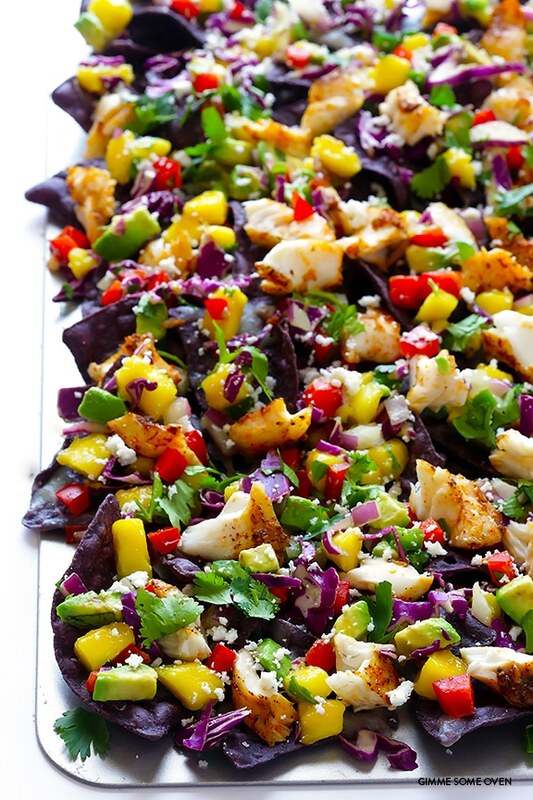 These Rainbow Fish Nachos may be too pretty to even eat. So many fresh ingredients. 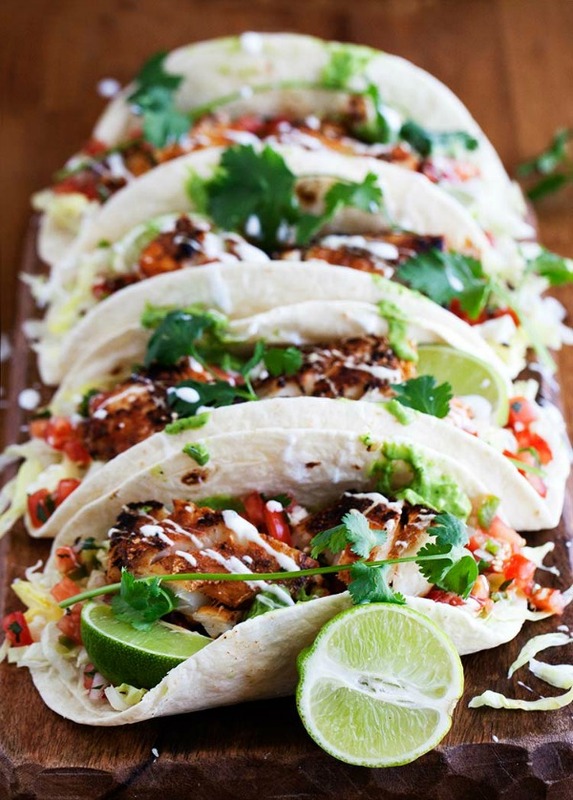 I can’t get enough of the creamy avocado cilantro sauce on these Cajun Fish Tacos. 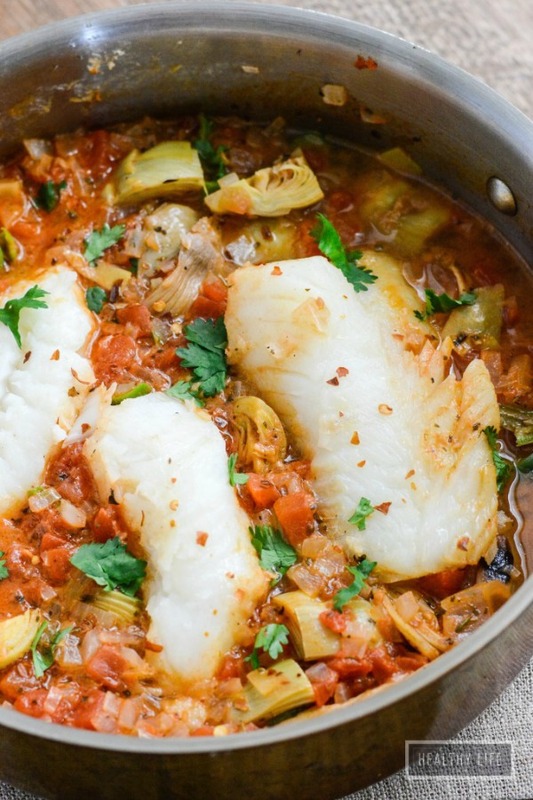 This Cod with Bacon Artichoke and Olives cooks all in the same skillet and only takes 25 minutes to make. It is also low calorie, gluten-free, paleo and a Whole30 approved recipe. 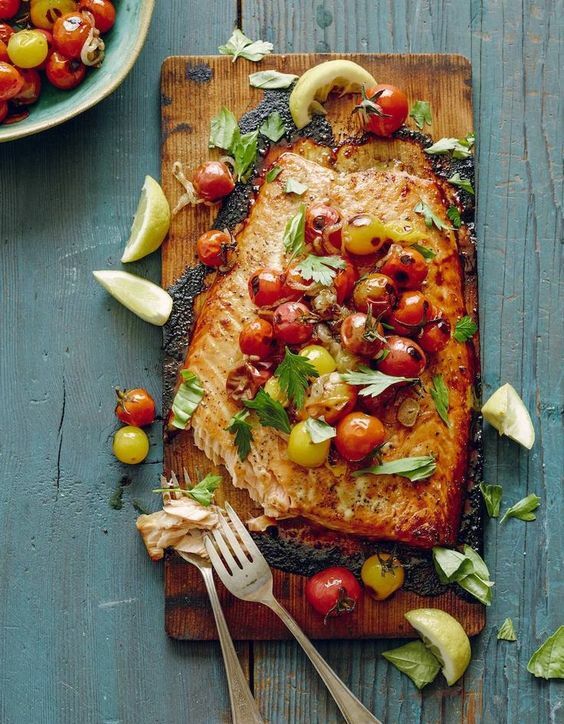 I am dying to try this Cedar Plank Salmon so I can use my new cedar planks on the grill. 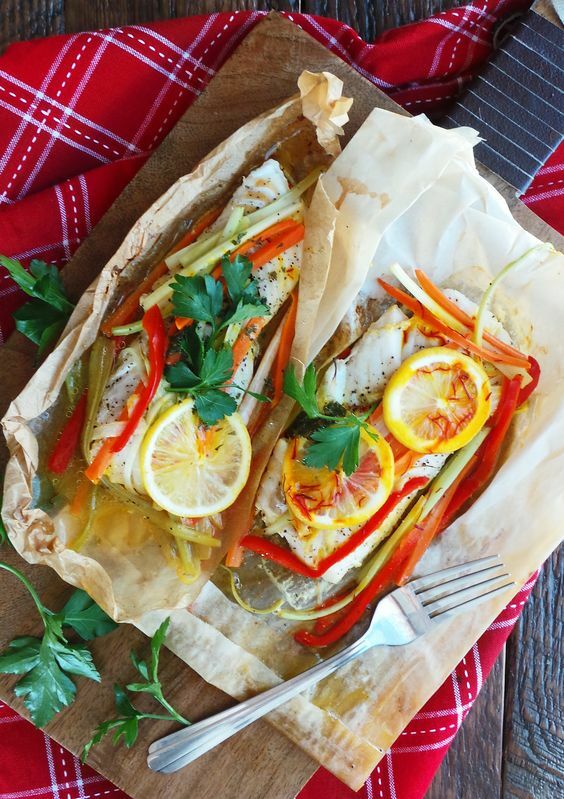 This Fish En Papillote (fish-in-a-bag for the common folk like myself) is super easy to clean up. It doesn’t dirty any pots and pans because it is made in a parchment bag. 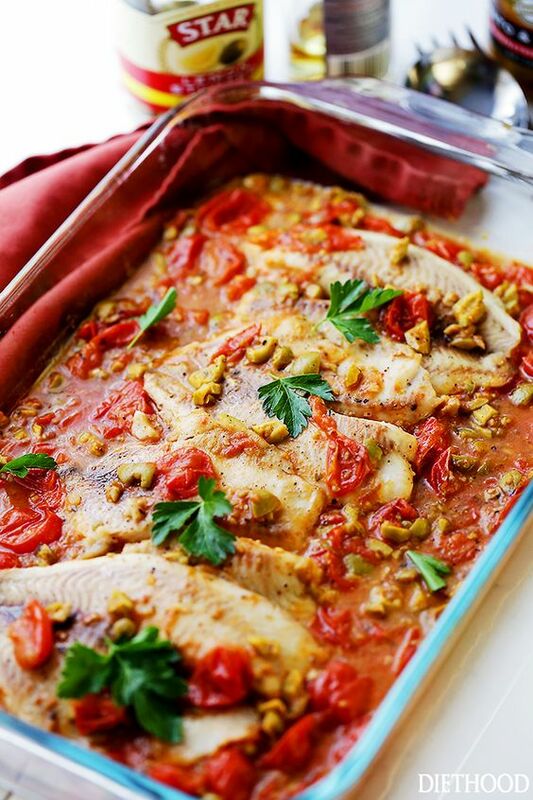 The sauce in this Mediterranean Style Baked Tilapia is making my mouth water. 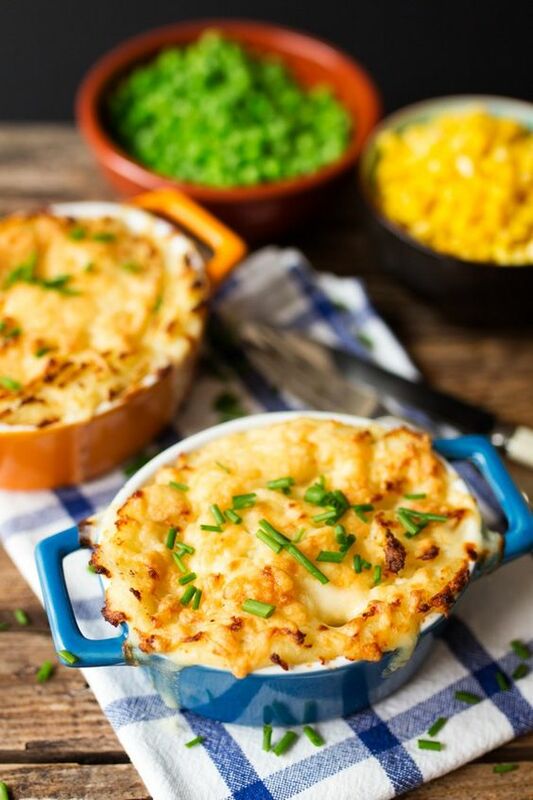 I can’t wait to make this Fish Pie with Creamy Mash in my cute little ramekins. 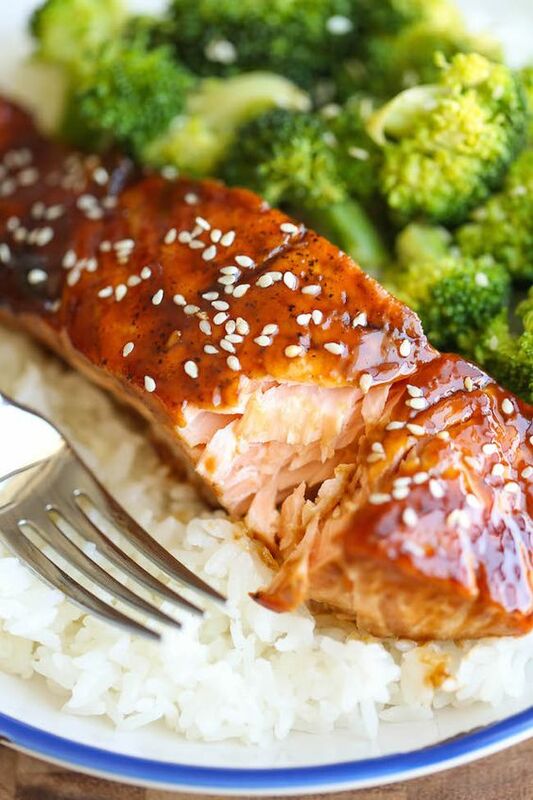 There is no need for takeout anymore with this Teriyaki Salmon and Broccoli bowl. The freshly grated ginger is key to making the flavor pop. 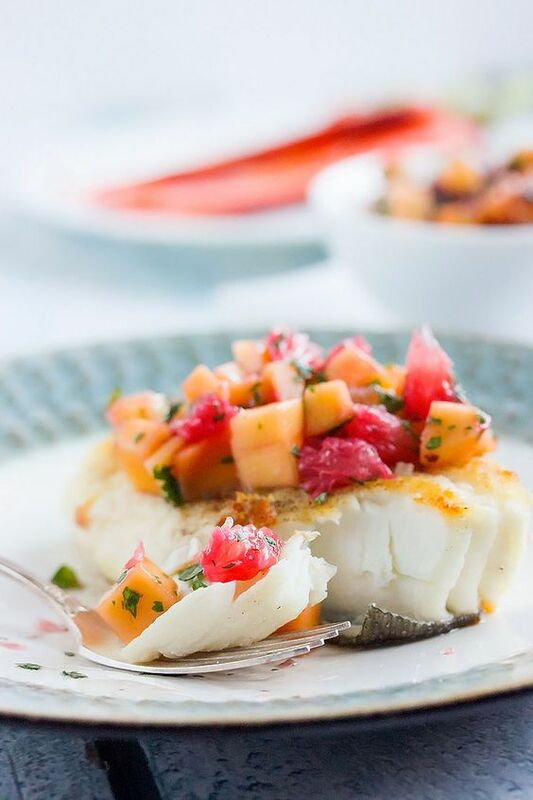 This Pan-fried Halibut with Grapefruit & Mango Salsa only takes a few minutes to make. Isn’t it pretty!?! 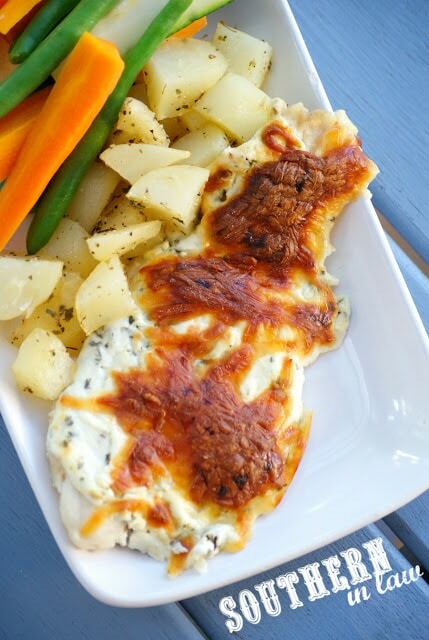 This Cheesy Baked Fish Recipe is the perfect dish for those fish haters. Cheese makes everything better! 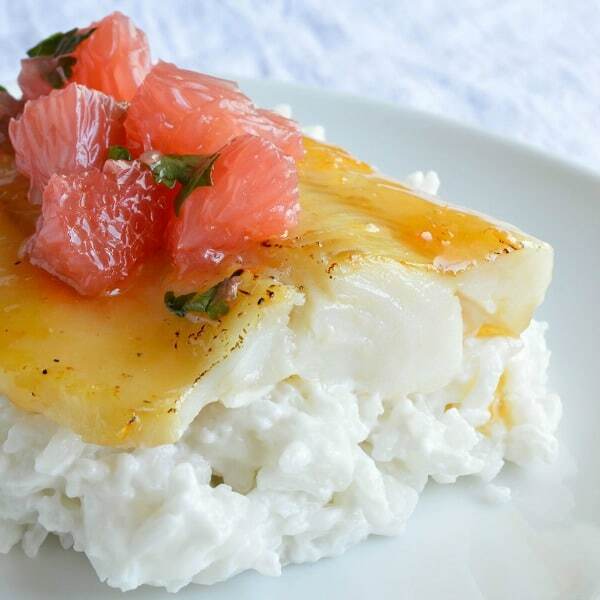 This Baked Cod is smothered with a grapefruit and honey glaze and served over coconut rice. Coconut rice is heaven in your mouth! This Veracruz Style Fish Bake is another healthy option and total prep and cook time is 30 minutes. 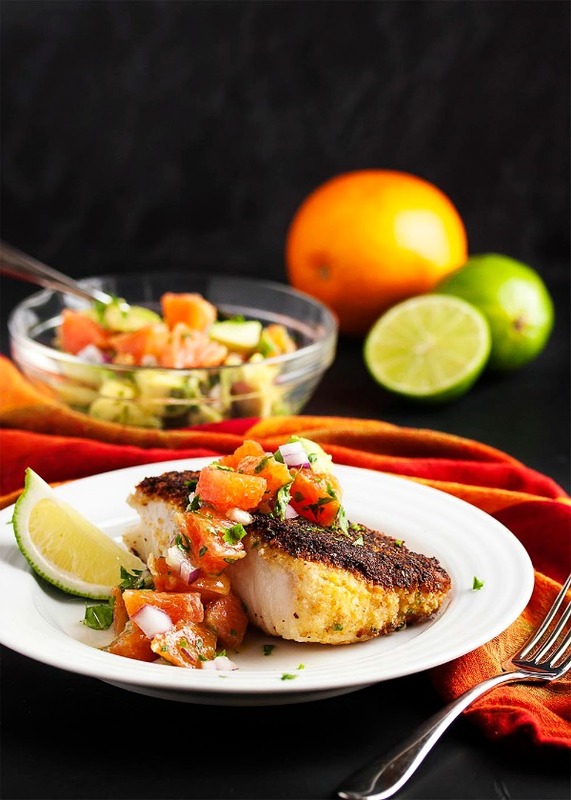 This Oven Fried Cod is made with my favorite Cara Cara oranges and avocado salsa. 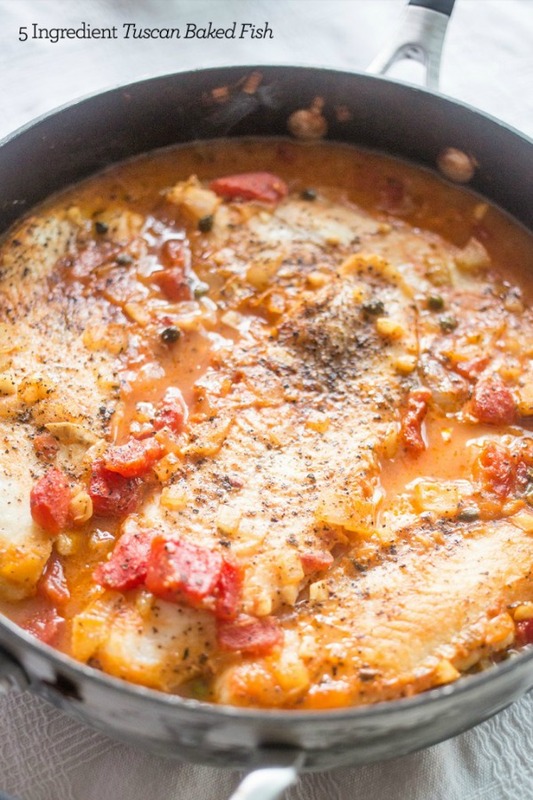 This Tuscan Baked Fish recipe is made in one pot with only 5 ingredients. I hope these fish recipes for Lent make deciding what to cook a bit easier. For more fish recipes for Lent follow our Pinterest board below. Follow Home.Made.Interest.’s board Food- Fish & Seafood on Pinterest.